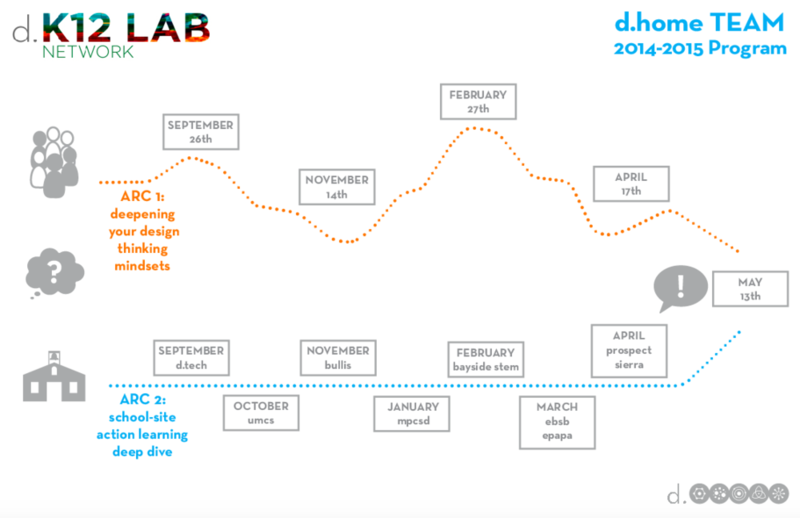 In my role at the K12 Lab Network, I am constantly thinking about what tools & resources we can create to help educators take design thinking or maker education back to their classrooms. 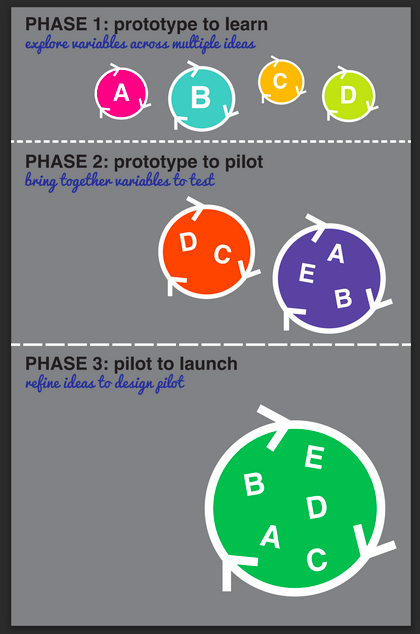 I also create tools to help encourage the growing movement of educators that continues to converged on design thinking as a pedagogical strategy in their classrooms. Below are the SparkTruck maker tool cards I helped to develop. The tool cards feature curated Instructables projects for each tool. 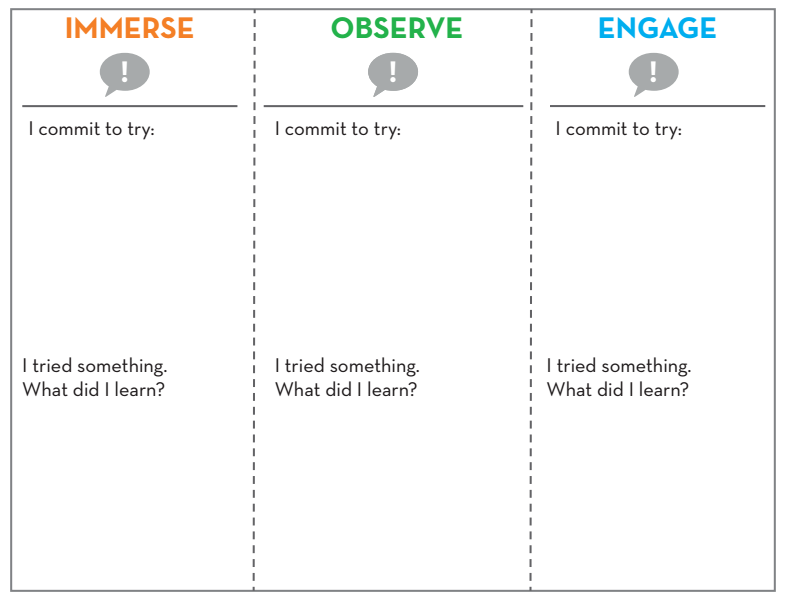 Browse our pedagogical frameworks &lesson planning tools -- designed to help educators plan open-ended maker-based lessons. I compiled & developed a series of tutorials & instructions to train students on how to use the tools on the SparkTruck. These are shareable resources, but are primarily designed to accompany an in-person training. 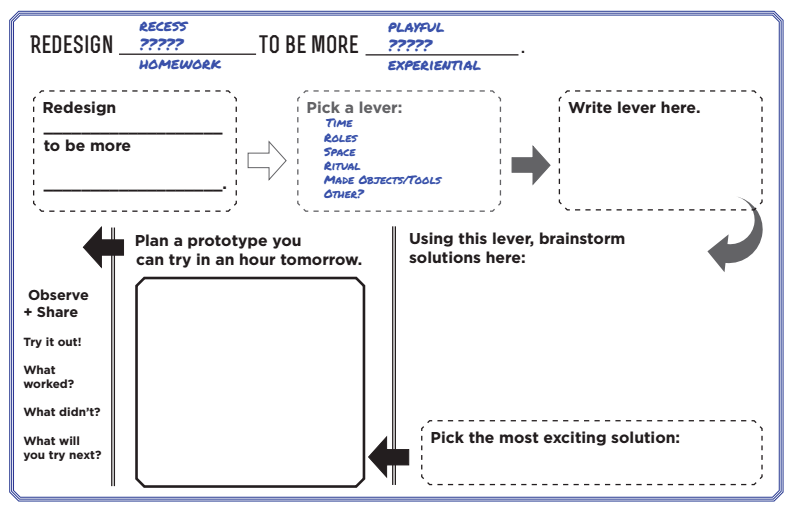 Click below to check out examples of tools I designed & created to support the content we developed for our design thinking professional development workshops with the d.home team.